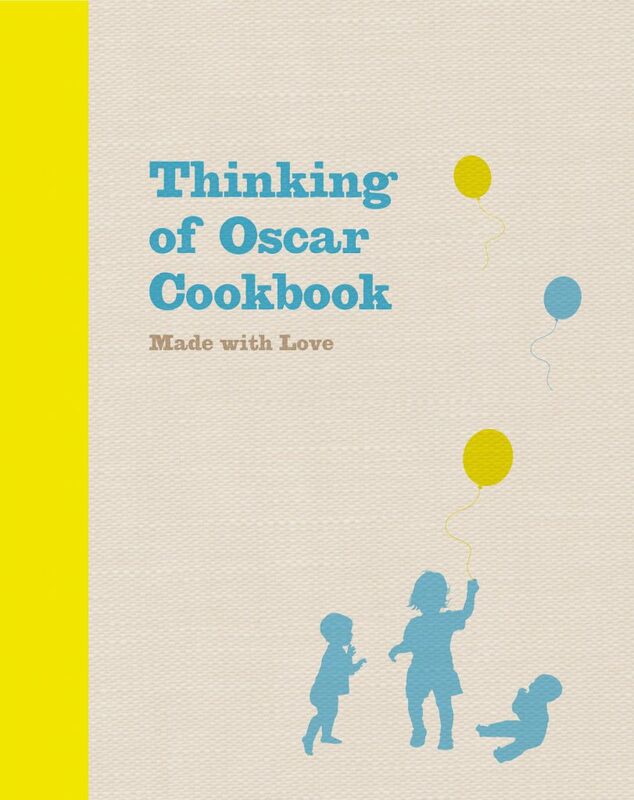 The Thinking of Oscar Cookbook, Made with Love, was originally intended to be a collection of recipes inspired by friends of Oscar’s family who, in the weeks and months after Oscar died, generously delivered home cooked meals to the family’s doorstep. Day after day, as word of the project spread some celebrity chefs became involved in the campaign. The resulting book is a collection of tried and tested recipes, family favourites handed down through generations, meals that are quick to prepare and great to share. Together we created a cookbook that is unique and eclectic, but most of all fun. The first print run sold out in months, because many people came back having supported the charity with their first purchase, and bought the book for friends and family as gifts. Why not share a copy with an old school friend or colleague? Someone you would like to thank? A neighbour who could do with a boost? Someone who you’ve not spoken to for too long and you just want them to know that you are thinking of them? When you place your order send us a message and we will add a handwritten note to your book on your behalf. Each book costs £10.00 plus £2.50 postage and packing and all profits from the cookbook will continue to help Thinking of Oscar to support children and their families whilst in hospital care. Check out our campaigns page to see the difference that Thinking of Oscar is working hard to make to hundreds and hundreds of children.